I featured a trio of really interesting new scientific publications this week on my Dear Science radio broadcast, with a quirky physics theme that illustrates how the purest science can explain really diverse ‘stuff’. A report by scientists at Georgia Tech published in Nature Materials this week offered an interesting perspective on ants – suggesting they behave as both a solid and a liquid – and even share these properties with tomato ketchup! Ants have complex societal organisation, and a striking feature is that they respond to environmental challenges with amazing feats, for example in floods a colony will self assemble to form rafts and they can also build bridges from their bodies to span gaps. These are very much behavioural characteristics of a solid. This new study observed fire ants when subjected to stresses in a rheometer, a device that measures the response of solid and liquid materials to applied forces. Ants were exposed to shear forces that would pull a colony apart. The results indicated that in this situation the ants ‘let go’ of each other in order to avoid being injured or killed as force increased – therefore exhibiting a liquid-like ‘viscoelastic’ behaviour. A good analogy to this is tomato ketchup – the harder you squeeze a ketchup bottle the easier it flows as the increasing force weakens bonds in the ketchup. This and other experiments were taken as evidence that ants do indeed exhibit properties of both a solid and a liquid under different situations! Astronomers have developed a new model that shows how formation of planets occurs from tiny pebbles, and this explains the long-standing mystery of why Mars is so much smaller than Earth. Mars has only about 10% the mass of Earth and for decades solar system theorists have puzzled over this. This is largely because the model used to explain how planets form cannot accommodate the observed mass of this planet. The widely used ‘accretion model’ predicts that in space similar sized objects come together, such that rocks will attract rocks, car-sized objects will attract other car-sized objects, then city-sized objects will attract each other until a planet is formed. This model explains the observed masses of Earth and Venus very well, but Mars should also be Earth sized according to this model. Researchers at the Southwest Science Centre in the USA postulated that the key might be that the accretion models also over-estimate the mass of asteroid belt objects, the band of rocky debris orbiting outside Mars orbit. They have now announced a new model that explains the observed mass of all planets, that they call the Viscously Stirred Pebble Accretion (VSPA) model. The VSPA model assumes space dust readily grows to form pebbles a few centimetres in diameter. Some of these form small primordial asteroids – and here is the difference – instead of attracting other asteroid sized objects, they mainly grow by pulling more pebble-sized objects into orbit. This allows some asteroids to become planet-sized over relatively short time periods. Importantly the model also shows that not all asteroids are equally capable of doing this – and this depends on their position in a solar system. In the VSPA model for example, Ceres, the largest asteroid in the asteroid belt (almost 1km wide) could easily have become a planet if it had an orbit nearer to Earth’s, but not in the orbit of Mars. The explanation is that aerodynamic drag in a more distant orbit is too weak to capture pebbles. This quite nicely explains why Mars is ‘small’ and also why the asteroid belt mainly comprises small objects. This work is important because it complements a Nature paper earlier this year that described a theory for formation of outer planets and gas giants with pebble cores, and together these studies provide the first model to fully explain the structure of our solar system. At last, a working tractor beam! 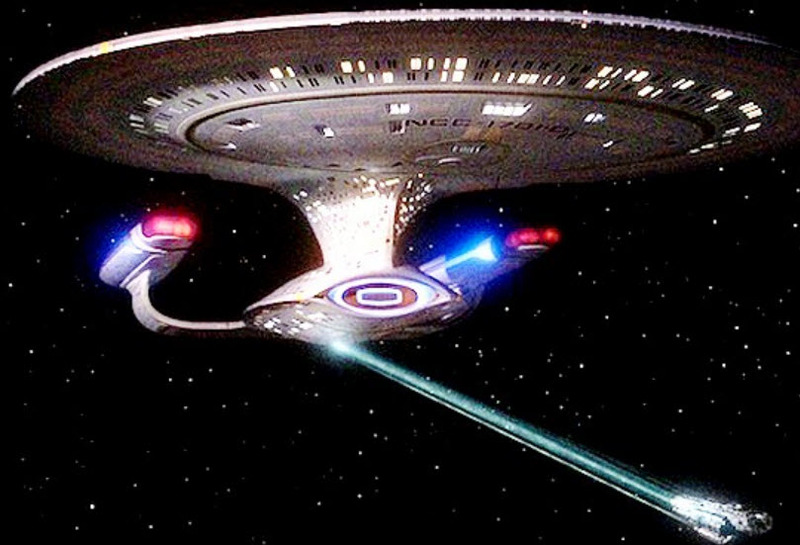 Published a report by British scientists this week entitled ‘Holographic acoustic elements for manipulation of levitated objects’, which basically means a tractor beam in plain English! Potential applications arise in assembly of delicate items without ‘touching’ them, and maybe even in microsurgery – although unfortunately a space tractor beam to move starships is still light years away! Catch my Dear Science show every Wednesday live at 12:15pm (95.0FM) or listen to the podcast on-demand (http://www.95bfm.com/bcasts/?cast=223499).